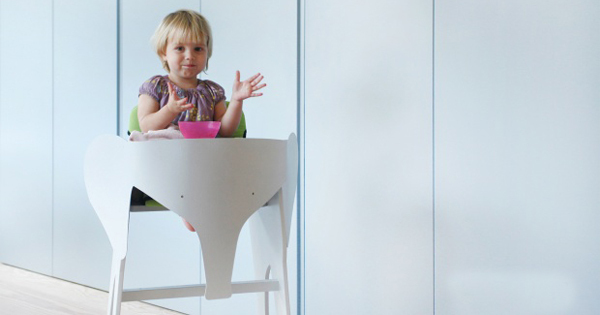 A high chair that’s designed to encourage kids to eat and is easy to clean? 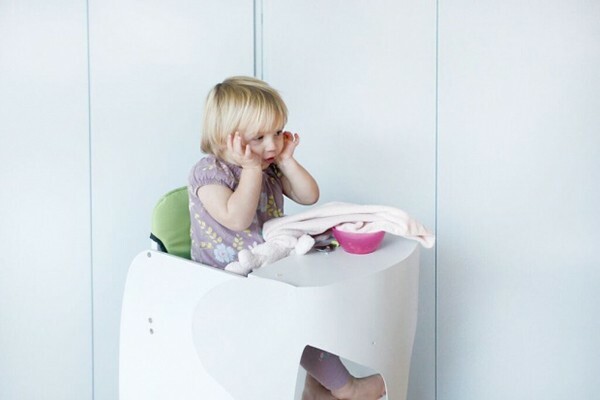 Now that we have your attention, we’re excited to introduce you to Habitan, the elephant high chair by London designer Alex Swain. 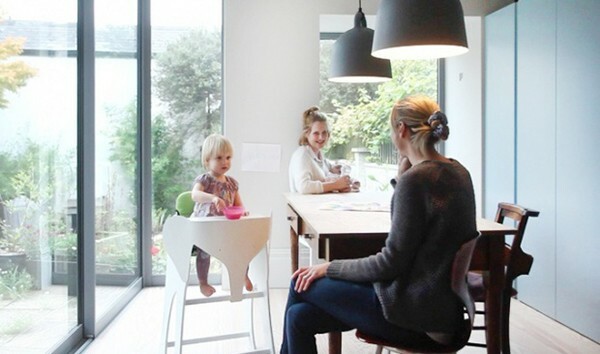 Habitan takes the best bits of the many high chairs on the market and combines them in a lovely design that will look slick in your magazine-ready kitchen. Okay, it might be the only magazine-ready thing in your very messy kitchen, but it’s nice to have nice things, no? Habitan has a frame that’s under 10 kilos, made from birch which is a material that we see a lot in toys and children’s furniture these days. Chosen because it’s sustainable, birch can be fully recycled at the end of the object’s life. The legs have plastic gliders so it’s easy to slide the chair around the kitchen, and the table top has three positions – forward, backward and for older kids, off. It’s got a removable plastic tray that washes up neatly in the sink. Perhaps the best thing about it, besides the absolutely gorgeous elephant design, is the fact that Habitan has no food traps. I’m an evangelistic devotee of the cheap and cheerful Ikea high chair for exactly that reason. We all have better things to do than scrape porridge out of crevices with a butter knife. So how does Habitan encourage kids to eat? Even the most iron-willed child can’t possibly resist an elephant ride, and sitting in a Habitan is as close to the real thing as you’re going to get in Australia. There’s no magic trick to make picky eaters eat (except maybe feeding them cake for every meal), but Habitan gets them to the table, which is a big part of the battle. Habitan is crowdfunding on Born, and the campaign ends on 27 January 2016. For €140 you can get your very own early bird Habitan, and international shipping is available.